Hello! I am excited to be writing a review on We Were Raised By Wolves today, a blog that I've been reading and following for about two years now! I got in touch with Evelyn via Twitter and she offered to send me a Lustre Pure Light Pro to test out for her. A mini backstory about me then; my name's Isobel and I'm a student at Manchester University, currently in my second year of a Media and Visual Arts degree. I'm 22 and I have been waging a private war against acne since I was 14. I expected it to clear up by the time I turned 20, but unfortunately for me, it's still present, although not as bad as it was when I was a teenager. I don't like to admit it often, but acne has had an unpleasant impact on my self-esteem and social life. I do get paranoid that people are looking at my face in a negative way or that they think I'm ugly or that I have poor hygiene. I know that I shouldn't care what other people think, but it's something that I would like to get rid of so that I can feel more confident in my own skin again. When I saw that Evelyn was looking for someone to review an acne treatment kit set, I got in touch and she sent me the Lustre Pure Light Pro to try out. I had not heard of this device before, so I read up on it and it seemed very suitable for my acne problem. I have been using this for the past 12 weeks so here is my review! What is the Lustre Pure Light Pro? How does it work? 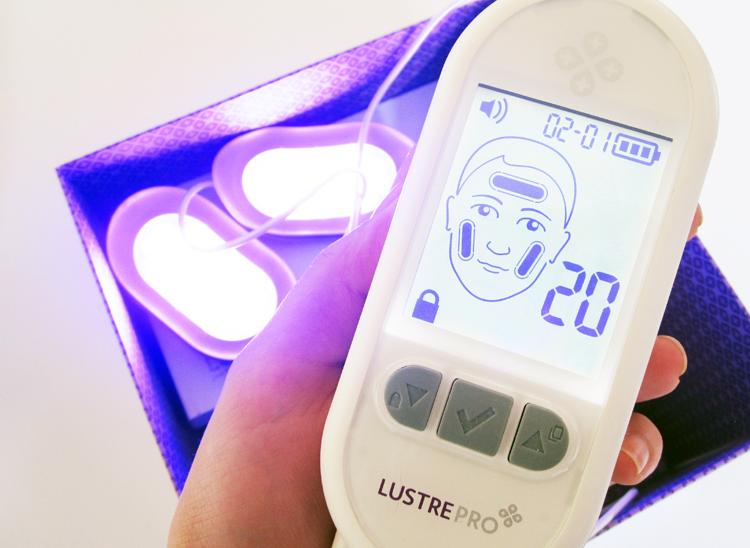 The Lustre Pure Light Pro is a portable blue light therapy device for treating acne that you can use in the comfort of your own home. 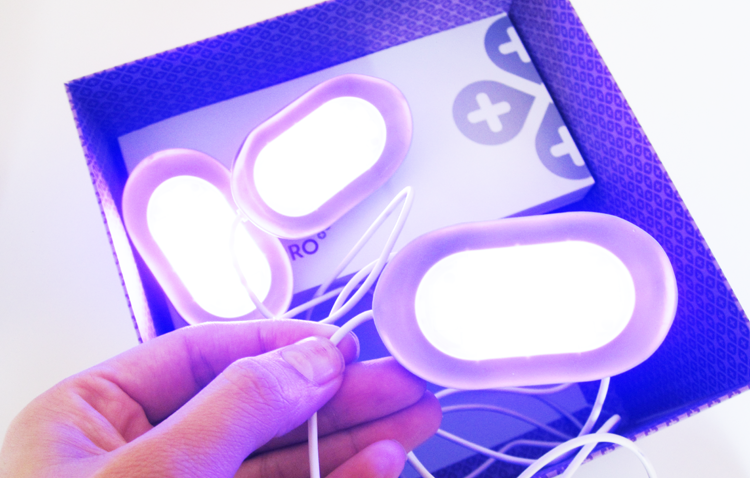 It uses the safe blue light of the natural visible light spectrum to eliminate the bacteria called P.acnes that causes spots and acne. This treatment has been clinically proven and is frequently recommended by healthcare professionals whose clients are seeking help for their acne problems. I have not used a light therapy system before, but I do remember a dermatologist saying it was very effective. At the time, and this is some years ago when I was a teenager, it was an expensive method so I am pleased to see a range of products that are more affordable and that you can use at home. 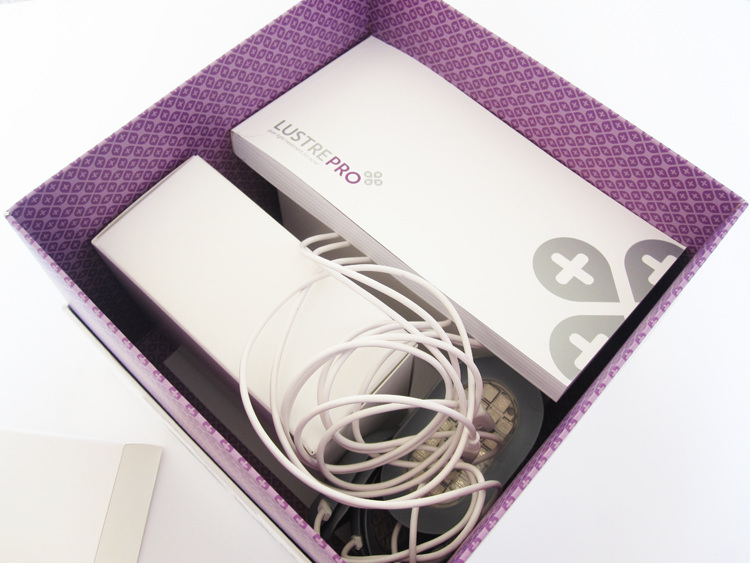 What do you get in the Lustre Pure Light Pro set? Warranty registration card - gives you 12 months warranty free when you register. Setting up the system was very easy and I followed the instructions in the manual to ensure that I did this correctly. Before you use it, you have to charge the controller for 6 hours and then you are good to go. Once fully charged, the controller has 4 days of standby time or 60 minutes of treatment time. The controller has some basic functions so you can set the time and date, and there is also a security PIN feature. Once I'd set this up, I applied an adhesive strip to each head and inserted all three of the therapy heads into the controller which slotted in easily like USB ports. It lit up immediately as you can see above - a bright, intense blue light which looked like something from a Sci-Fi TV show! I washed my face with my usual cleanser and made sure it was completely dry before attaching the heads. I applied the heads to the areas of my face where my acne is the worst, so my forehead, chin and left lower cheek. I then sat back, relaxed and allowed 20 minutes for my treatment. The time counts down on the controller. During the treatment, I didn't feel any pain or stinging or anything like that, just a gentle, slightly warming sensation. Once the treatment time is over, the controller automatically switches itself off and I carefully removed the therapy heads which did tug slightly on my skin due to the adhesive strips. I disposed of the strips, cleaned the therapy heads with a cleansing wipe, dried them and then put everything back into the box until the next day. After the treatment, my skin felt very sensitive and looked a little red, though this calmed down and returned to normal after 15 or so minutes. I used my regular toner and moisturiser afterwards. It's recommended in the instructions manual to use this 20 minutes a day for at least 12 weeks, so this is exactly what I did. For the first 4 or 5 weeks, I didn't see much of a difference if I'm honest. There were times when I felt like giving up on it because I didn't think it was working, but then after the 6th or 7th week, something in my skin seemed to change and I did start to see a difference. The acne on my chin area appeared less red and 'angry' and the same began to happen on my lower left cheek and forehead as the weeks went on. It hasn't disappeared, but it is slowly looking more reduced and the inflammation is going down a lot. 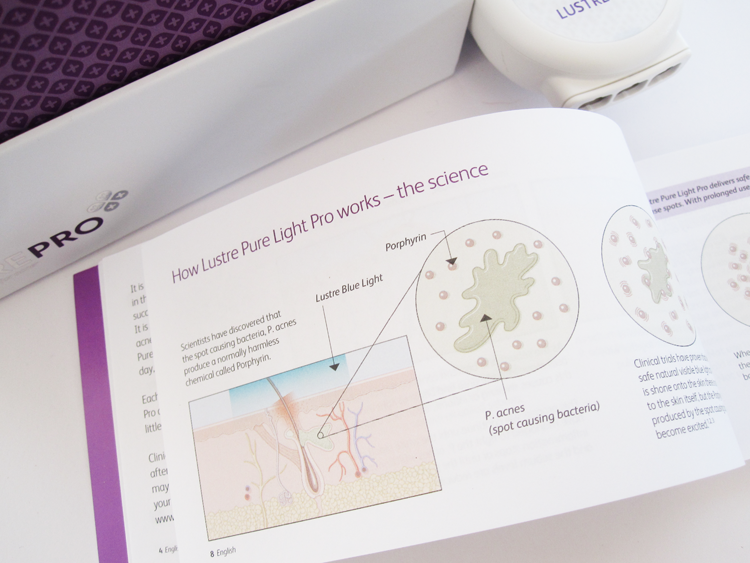 My acne has a tendency to 'flare up' every now and then but I didn't experience one of these episodes at all in the last 12 weeks which is the biggest change I have noticed by using the Lustre Pure Light Pro. I will continue to use this and hope that one day, my acne is gone forever! Thank you to Evelyn for allowing me the opportunity to try this out! Lustre Pure Light Pro* retails for £225 and is exclusive to Boots. Have you tried anything like this for treating acne? P.S The winner of the iPad Mandala case is Stacey Sorrell - congrats! Hi, you would probably need to find a stockist in the USA who can ship to you?